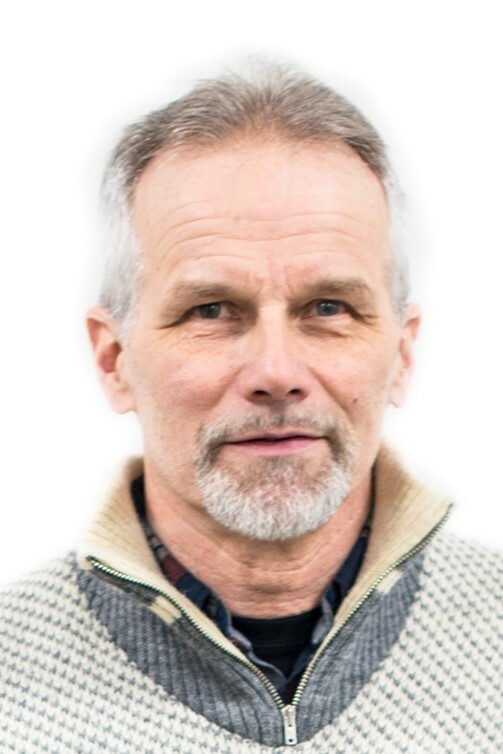 After his doctoral dissertation (2005), Dr. Mattila has continued his research activities among on-site sanitation, water and environment protection and diffuse pollution. He has participated in number of conferences and other scientific activities where wastewaters, sanitation and diffuse pollution have been discussed. He has been teaching the topics and he has acted as Supervisor in number of thesis projects on these also. In 2008, Dr. Mattila wrote the text book on on-site sanitation together with two researchers from Finnish Environmental Institute. The book is written in Finnish language and it has been widely utilized in Finnish education institutes and in training courses for professionals in sanitation sector. Dr. Mattila has been reviewing articles proposed to the scientific journal Water Science and Technology published by International Water Association (IWA) and he has been working in scientific committees of international conferences. 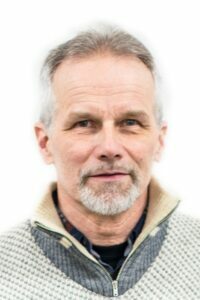 He is an active representative in the researcher group Capacity Development in Water and Environmental Services (CADWES) at Tampere University of Technology. Anna Mikola Anna Mikola (D.Sc.Tech.) is responsible for wastewater related research in the Group of Water and environmental engineering in Aalto University School of Engineering in Finland. Her main research topics at the moment are nutrient recovery processes, biological nitrogen removal and gaseous emissions as well as removal of micropollutants and microplastics from wastewater. Dr Naoyuki Funamizu Dr Naoyuki Funamizu is a specially appointed professor in Graduate School of Global Food Resources, Hokkaido University and he is also working at Research Institute of Humanity and Nature, Kyoto as a professor. His main research topics are wastewater reclamation and reuse, and sustainable sanitation system. Currently he is studying new sanitation system extensively and he is a leader of the big project on sanitation value chain supported by Research Institute of Humanity and Nature. He is also working on international collaboration program on sustainability education. He has been nominated as FELLOW of IWA. He is a cooperative member of Science Council of Japan. Eija Vinnari Eija Vinnari is Professor of Public Financial Management at the Faculty of Management, University of Tampere, Finland. Her research interests include public sector accounting, social and environmental accounting, social movements and sustainable development. Her research relies predominantly on qualitative approaches and has been published in several reputable journals, such as Accounting, Auditing and Accountability Journal, Accounting, Organizations and Society, Critical Perspectives on Accounting and Journal of Agricultural and Environmental Ethics. She also serves on the editorial boards of several journals. Gerryshom Kweya MUNALA, is an Associate Professor, Centre for Urban Studies, Jomo Kenyatta University of Agriculture and Technology (JKUAT), Kenya. He is the Convenor, International Organisation for Standardization (ISO) Technical Committee 224/ Working Group 8 on “Onsite Waste Water Management Using Low Technologies” that published ISO standard 24521:2016. His research interest is in the areas Architecture, Environmental Planning and Management and Urban Water Management. Miriam Otoo Dr. Miriam Otoo is a trained economist, specializing in issues related to the economics of waste reuse, development of waste reuse business models and feasibility assessment, and business development and entrepreneurship in developing countries. Her research interests lie in understanding the linkages between sanitation and agriculture to enhance food security via the analysis of business opportunities in the waste reuse sector in Africa, Asia and Latin America. Specifically, her research focuses on assessing the dual objectives of making an asset out of waste through economically viable business models and safeguarding public health with the increasing practice of wastewater use. She has developed a multi-criteria methodological framework, which has formed the basis for the development and assessment of waste reuse business models for their replicability and scaling-up potential in Africa, Asia and Latin America. Pekka Pietilä Dr (CivEng) Pekka Pietilä has 40 years’ experience in water and sanitation both in private and public sector. His experience includes consulting engineering tasks in Finland and overseas, development cooperation tasks in Africa, and research and teaching duties at universities in Finland and overseas. He has served as the Chairman of the Organizing Committee in DT2009 and the Chairman of the Scientific Committee in DT2012 and DT2015. 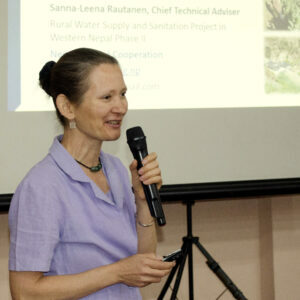 Sanna-Leena Rautanen works as the Chief Technical Adviser in the Rural Water Supply and Sanitation Programme in Western Nepal, Nepal-Finland cooperation. She completed her Doctor of Science and Technology degree in the Tampere University of Technology in 2016, her thesis focusing on capacity development. Before Nepal, she worked as Sanitation Specialist in the World Bank. She has also worked in Tanzania and Bangladesh, sanitation and hygiene being always high in the agenda. Over the past years her particular interest has been in the behaviour change related to sanitation and hygiene. Blanca Jimenez Dr Blanca Jiménez Cisneros holds a degree in Environmental Engineering, with a specialization in water, from the National Autonomous University of Mexico (UNAM, 1980), a Masters degree (1982) in Environmental Engineering and a PhD (1985) in Water and Wastewater Treatment from the Institut National des Sciences Appliquées (INSA) in Toulouse, France. Dr Jiménez has 31 years of professional experience with the National Autonomous University of Mexico (UNAM), her base since 1980. 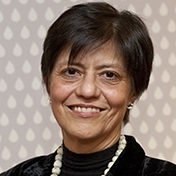 Dr Jiménez joined UNESCO in 2012 as Director of the Division of Water Sciences and Secretary of the International Hydrological Programme (IHP), the first woman appointed to this post. From 2014 until early 2016, she also served as Vice-Chair of UN-Water, the United Nations inter-agency coordination mechanism for all freshwater and sanitation-related matters. Ralf Otterpohl Ralf Otterpohl has studied Civil Engineering at with specializing in Water-, Wastewater and Solid Waste Management at RWTH Aachen University; Worked in a position at the Institute of Environmental Engineering. 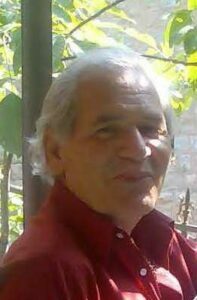 Over a period of 6 years he did research work in the field of dynamic mathematical modelling of wastewater treatment processes and interaction with the sewerage network. in 1994 he founded his own consultancy (today Otterwasser GmbH owned by Martin Oldenburg and Andrea Albold), specialized in studies on computer-simulation of large wastewater treatment plants (e.g. Bremen, Berlin, Munich, Hamburg), distribution of the software Simba (co-developed with ifak Magdeburg, today distribution with them) and the development of innovative wastewater concepts with a major project in Lübeck Flintenbreite, Baltic Sea Region, Germany. In 1998, Ralf Otterpohl became director of the Institute of Wastewater Management and Water Protection at TUHH Hamburg University of Technology, Northern Germany. Rural Development teaching in the international Master-Programm „Environmental Engineering“ at TUHH and research has led Prof. Dr.-Ing. Ralf Otterpohl to the collection of an extensive rural development toolbox. Gina itchon Dr Gina S Itchon is Director of Xavier University Sustainable Sanitation Center. 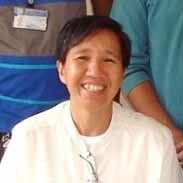 She is JPRSM Associate Professor, Unit Head for Research and Chair of Dept. of Preventive and Community Medicine. Günter Langergraber Priv.-Doz. Dipl.-Ing. Dr.nat.techn. Günter Langergraber have done PhD at BOKU (2001). He worked as a Administrative manager, IWA Task Group on “Good Modelling Practice – Guidelines for Use of Activated Sludge Models” (2005 – 2012). Regional Coordinator, IWA Spezialist Group on “Wetland Systems for Water Pollution Control” (2006 – 2014). Co-Chair, IWA Spezialist Group on “Resources-Oriented Sanitation” (2006-2010). Chair, IWA Spezialist Group on “Resources-Oriented Sanitation” (2010 – 2016). Habilitation for Sanitary Engineering at BOKU (2012). Secretary, IWA Spezialist Group on “Wetland Systems for Water Pollution Control” (2012-2016). Co-Chair, IWA Task Group on “Mainstreaming the use of treatment wetlands” (2015). Secretary, IWA Spezialist Group on “Resources-Oriented Sanitation” (2017). Regional Coordinator (Management Committee), IWA Spezialist Group on “Wetland Systems for Water Pollution Control” (2017). Member IWA Strategic Council (2017). Marja Palmroth Marja Palmroth completed her Master of Science (Technology) in Environmental Engineering and Doctor of Science (Technology), Environmental Engineering from Tampere University of Technology University and is currently working as a Teacher (Chemistry and Bioengineering) and is also a Member of Research Group (Research group: Bio- and Circular Economy) at TUT. Tuula Tuhkanen Tuula Tuhkanen is a Professor in University of Jyväskylä | JYU, Department of Biological and Environmental Science, Jyväskylä, Finland. Her Skills and Expertise are Wastewater Treatment, Water Treatment, Environmental Engineering, Wastewater Photodegradation, Waste and Wastewater Management. Claudia Wendland Dr. Claudia’s background is civil and environmental engineering. She finalised her doctoral thesis at Hamburg University of Technology about ‘Anaerobic digestion of blackwater and kitchen refuse’ as part of new sustainable sanitation concepts in 2008. 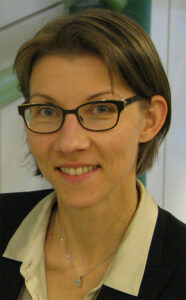 As project manager in the EU project on water re-use in Mediterranean Countries (EMWater), Claudia Wendland was involved in all project activities such as the on-line trainings, the regional training and planning of the pilot plants from 2003-2007. Before that, she worked as lecturer at Lübeck University of Applied Sciences and project engineer in a Public Water Association in the field of sewage sludge management. 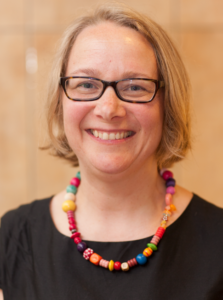 Dr. Claudia Wendland is a water and sanitation specialist at WECF (Women in Europe for a Common Future) and promotes re-use oriented water and sanitation projects worldwide.